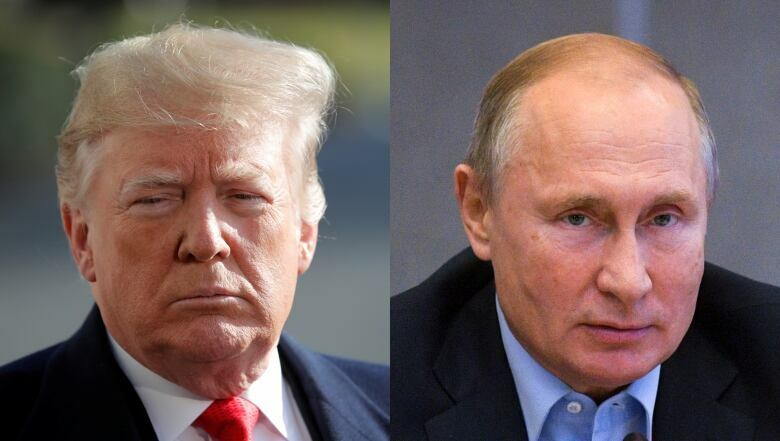 Russia says the United States "has taken another step toward its destruction" after the Trump administration announced it will suspend its obligations to a treaty that's been a centrepiece of arms control since the Cold War. The U.S. government says it is freeing itself from the constraints of a nuclear arms control treaty with Russia and will begin withdrawing from the pact — which has been a centrepiece of arms control since the Cold War — on Saturday. The American withdrawal had been expected for months. It follows years of unresolved dispute over Russian compliance with the 1987 Intermediate-Range Nuclear Forces (INF) treaty, which bans certain ground-launched cruise missiles. 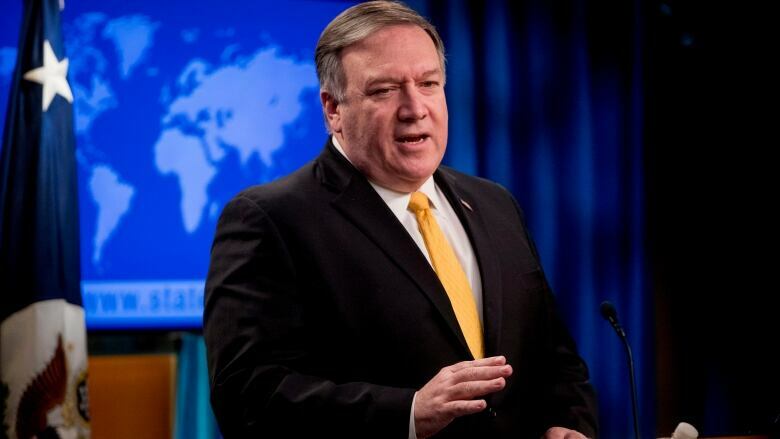 "We have raised Russia's non-compliance with Russian officials — including at the highest levels of government — more than 30 times," U.S. Secretary of State Mike Pompeo told reporters at the State Department on Friday. "We have provided Russia an ample window of time to mend its way. Tomorrow that time runs out." The American withdrawal would officially take effect six months after this week's notification, leaving a small window for saving the treaty. However, in talks this week in Beijing, the U.S. and Russia reported no breakthrough in their dispute, leaving little reason to think either side would change its stance on whether a Russian cruise missile violates the pact. U.S. President Donald Trump blamed the Russians for the treaty's demise. Trump also said Friday that he is open to negotiating a wider agreement, possibly one that includes other nations. "I hope that we're able to get everybody in a big and beautiful room and do a new treaty that would be much better. Certainly I would like to see that," he told reporters. Minutes after Pompeo's announcement, NATO Secretary General Jens Stoltenberg said Russia was "in material breach" of the treaty and the alliance "fully supports the U.S. suspension [and] notification of withdrawal from the treaty." A NATO statement urged Moscow to "use the remaining six months to return to full and verifiable compliance to preserve the INF Treaty," and if Russia fails to destroy all new missile systems that Washington insists violate the agreement, "Russia will bear sole responsibility for the end of the treaty." NATO members say the military alliance will continue to review the security implications of Russian missile development. They say NATO will take any "steps necessary to ensure the credibility and effectiveness of the alliance's overall deterrence and defence posture." 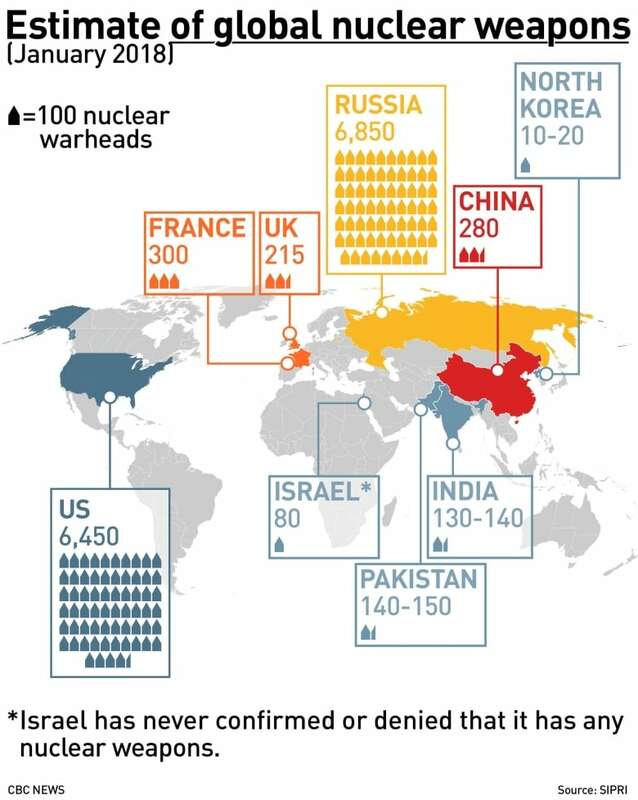 The INF treaty was the first arms control measure to ban an entire class of weapons: ground-launched cruise missiles with a range of between 500 and 5,000 kilometres. After the U.S. announcement on Friday, Russia accused the United States of unilaterally seeking to neuter the treaty and of resisting Russian attempts to resolve the dispute. "I congratulate the whole world; the United States has taken another step toward its destruction today," Konstantin Kosachev, head of the foreign affairs committee in the upper house of parliament, said after the announcement. "This step carries a threat to the entire system of international security, but first of all for Russia because after leaving the INF the Americans will deploy these missiles in European countries," said another senator, Igor Morozov. But the end of the treaty could also serve Russia's strategic interests, removing any obstacle to deploying intermediate-range missiles that could reach Europe and China. U.S. officials have expressed worry that China, which is not party to the treaty, is gaining a significant military advantage in Asia by deploying large numbers of missiles with ranges beyond the treaty's limit. Leaving the INF treaty would allow the Trump administration to counter the Chinese, but it's unclear how it would do that. "The strategic rationale for leaving the INF seriously involves China," Behnam Ben Taleblu, a defence expert at the Foundation for Defence of Democracies, said in an interview. "This is one medium by which China can contest American influence in the Asia-Pacific," he said. "And it's unfair for the U.S. to voluntarily restrict itself in a bilateral treaty when one side of that partnership [Russia] is failing to live by its obligations. The U.S. … is voluntarily fighting with one hand tied behind its back." U.S. withdrawal raises the prospect of further deterioration in U.S.-Russian relations, which already are arguably at the lowest point in decades, and debate among U.S. allies in Europe over whether Russia's alleged violations warrant a countermeasure such as deployment of an equivalent American missile in Europe. Kingston Reif, director for disarmament at the Arms Control Association, said Thursday the U.S. had failed to exhaust diplomatic options to save the treaty.